Petri Dish Three Compartment are transparent and ready to use. These are also known as Segmented Y - Plate Petri Dish. 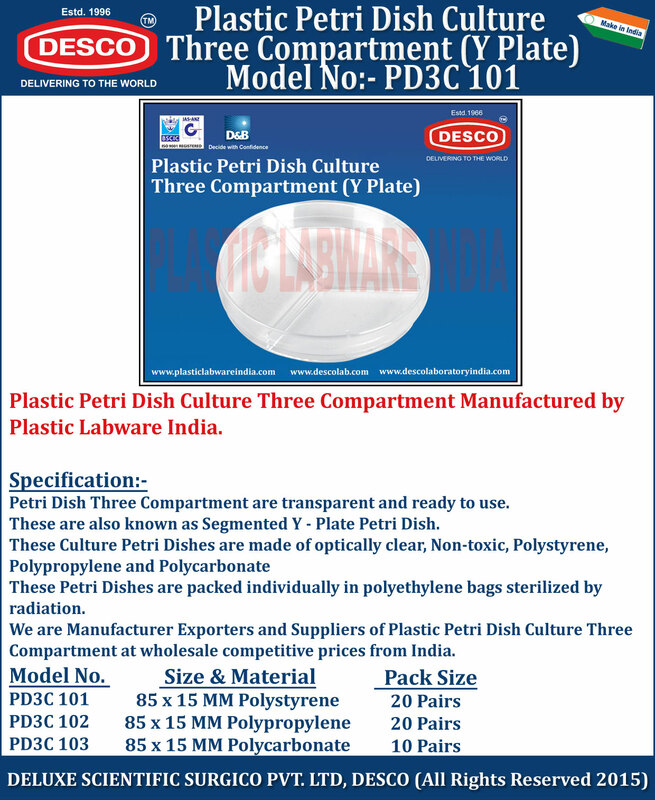 We are Manufacturer Exporters and Suppliers of Plastic Petri Dish Culture Three Compartment at wholesale competitive prices from India.